Failure to diagnose, as it relates to medical malpractice law, is the failure of a physician to properly identify a medical condition. Under certain circumstances, “failure to diagnose” lawsuits can be filed and may compensate victims for their injuries. Failure to diagnose is slightly different from a misdiagnosis in that the former may result in no diagnosis at all, leaving the patient in a position where he or she tends to do nothing to cure the symptoms that drove the patient to see the doctor in the first place. Whereas any diagnosis may prompt cautious patients to seek a second opinion, patients who get clean bill of health will tend to do nothing as per doctor’s orders. It may take considerable time for symptoms to get worse and for the patient to return for further testing. Patients can suffer serious harm as a result of a physician’s failure to diagnose, including medical complications, the need for more expensive or aggressive treatments, permanent bodily injury, decreased survival rates, shortened lifespan, and, in the worst cases, death. A departure from that standard, under circumstances which justify the conclusion that the required degree of care was not met. It is not malpractice if the treating medical professional chooses from generally accepted courses of action to diagnose the patient and uses a reasonable exercise in judgment in doing so. The professional has a duty to exercise the degree of care, knowledge and skill ordinarily possessed and exercised in similar situations by the average member of the professional in his field. Damages were caused by the negligent failure to diagnose the condition: economic loss, medical bills, emotional distress, pain, suffering, loss of enjoyment of life, disability and impairment. Expert testimony from a physician in the particular medical field at issue is key in medical malpractice cases. It would be up to the plaintiff to establish the damages caused by the failure to diagnose, with the help of copies of bills from the treating hospital and records showing lost work and income. If pain and suffering are also claimed, the plaintiff would testify, as might the medical expert and the treating physician. Failure to diagnose lawsuits encompass a wide variety of situations and conditions. Judgments vary depending on the circumstances, the applicable law and instructions juries receive. A jury awarded $12 million in a case where physicians failed to detect internal bleeding, which caused the death of a 52 year old man. Over a six year period of time the plaintiff complained to his physician about a number of progressive symptoms. The jury awarded him $4.75 million because the physician failed to conduct tests in a timely manner, or refer the plaintiff to a specialist, which resulted in a failure to diagnose a tumor in the plaintiff’s spine. That tumor caused the symptoms complained of and ultimately partially paralyzed the plaintiff. A plaintiff complained to his physician of abdominal pain and diarrhea. The physician diagnosed him with gastritis. 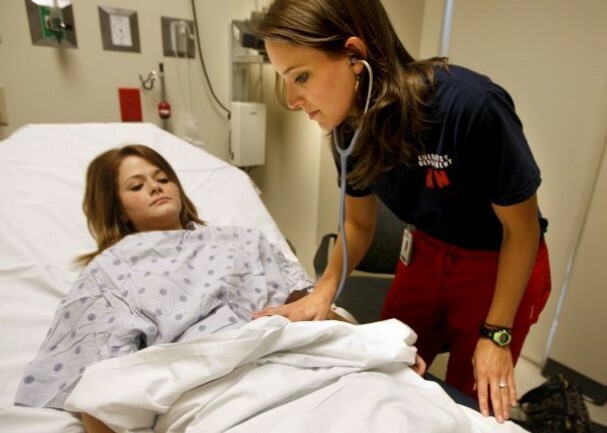 A jury found that if a proper exam had been performed, appendicitis would’ve been found. Because it wasn’t, the plaintiff’s appendix burst, which caused a subsequent infection and multiple surgeries. The plaintiff was awarded $1.25 million. A 16-year-old plaintiff was awarded $400,000 after showing that her physician failed to diagnose an ovarian cyst. Instead of further treatment, she was given pain medication. The cyst later ruptured and her left fallopian tube and ovary were surgically removed. The plaintiff showed that if she’d been treated earlier, that surgery could’ve been avoided. Medical malpractice cases are subject to a statute of limitations, which is a time limit on when a plaintiff can file a lawsuit. No matter how compelling the facts of a situation may be, if a complaint isn’t filed in a timely manner, it will be dismissed. The medical malpractice lawyers of Eisbrouch Marsh are dedicated to helping families win financial awards for injuries caused by medical negligence. If you believe you have suffered injuries because a medical professional failed to diagnose your condition, contact us for a free consultation.